The following is a repost of an old article of mine published originally in the Maine Campus, University of Maine's campus newspaper. This Thursday at 4:30 a.m. in the Soderberg Auditorium, the New Writing Series Spring 2006 season begins. Since the fall of 1999, the New Writing Series has enhanced the cultural oasis that is Orono with more than 130 writers. Past guests include the late Robert Creeley, poet and activist Amiri Baraka and the irreverent Bernadette Mayer. 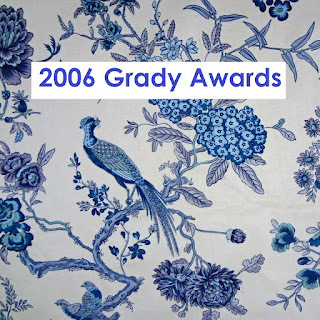 Thursday’s event will feature this year’s Grady Award Winners. The Steve Grady Award for Creative Writing is presented annually to undergraduate and graduate students at the University of Maine, according to professor Naomi Jacobs, the awards coordinator for the English department. This year’s judges for poetry were professors and poets Jennifer Moxley and Constance Hunting. Retired professor Elaine Ford, a novelist and short story writer, judged the fiction submissions. This year’s winners were all English majors, but any student may enter the contest. For more information about Thursday’s event and all upcoming New Writing Series events, contact Professor Steve Evans.